We had another amazing competition in Week 3 at the SunDome in Yakima. The robot ran almost flawlessly, and we ended qualifications in the #1 Seed position. 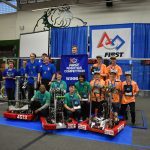 During alliance selections, we invited team 5803 Apex, and team 2926 Robo Sparks to join us for eliminations. 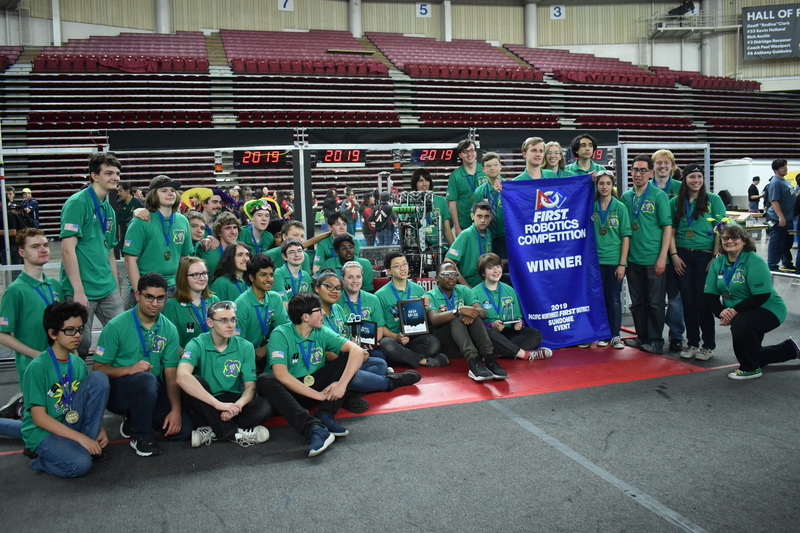 Thanks to our double-HAB climb capability with Apex, demonstrated in the last match of quals, and some excellent defense by the Robo Sparks, we prevailed in the quarter- and semi-finals, winning our two final matches to bring home our second blue banner. To our delight, we were also recognized with the Excellence in Engineering Award. 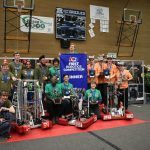 With this second win and award, we are almost guaranteed a spot at PNW District Championship in April. Thanks to our sponsors, mentors, boosters, and parents, and to all the other teams who competed for making this a great event. Next stop, Glacier Peak District Event in Week 4!